A psychiatry researcher in Somalia wishes to publish his findings but is uncertain how to proceed. Through the AuthorAID website, he learns to write and publish journal articles. Within two years, he has multiple papers accepted, including some in major journals in his field. A demographer in Kenya wants to improve her writing skills. She obtains an AuthorAID mentor, who provides guidance in accessing literature, analyzing data, interpreting results, crafting papers, and responding to reviewers’ comments. The result: journal publications. A physicist attending an AuthorAID workshop in Nepal gains insight that empowers him to confer with a journal editor about a requested revision. The physicist goes on to lead AuthorAID workshops himself and to receive an AuthorAID travel grant to speak at an international conference. An Ethiopian researcher has two papers accepted, and their acceptance is contingent on editorial revision. He seeks assistance from AuthorAID, which helps him to find suitable science editors among its pool of volunteers. Both papers are soon published. These true vignettes illustrate some types of assistance that are available from AuthorAID (www.authoraid.info), a project mainly to help researchers in developing countries to write about and publish their work. 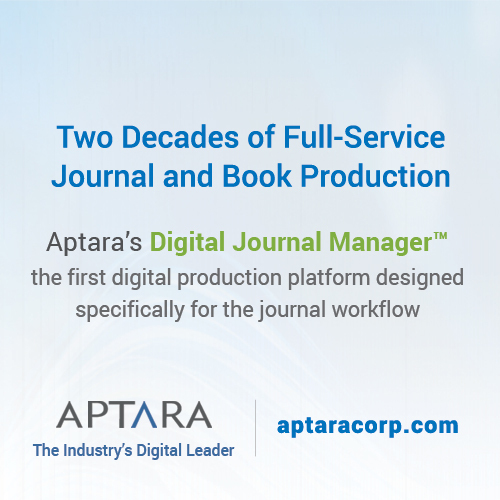 Editors have played integral roles in developing and implementing this multifaceted project. And as AuthorAID approaches its second decade, opportunities for editors to serve it and be served by it continue to grow. The AuthorAID initiative originated with Phyllis Freeman and Anthony Robbins, editors of the Journal of Public Health Policy. In a 2006 editorial,1 Freeman and Robbins wrote that even before their editorship, they had “conceived AuthorAID, a global program to provide . . . editing help to authors from developing countries”. Freeman and Robbins noted that developing-country researchers faced major challenges in writing scientific papers publishable in the international literature. 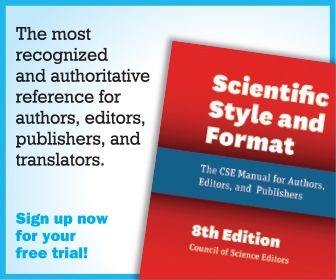 They observed that such researchers lacked access to author’s editors to help them to refine their writing before submission. And they recognized that the Internet, increasingly available in developing countries, offered an opportunity to provide wide assistance.2 Thus, they proposed AuthorAID, which they envisioned as helping developing-country authors worldwide mainly through individualized aid online. 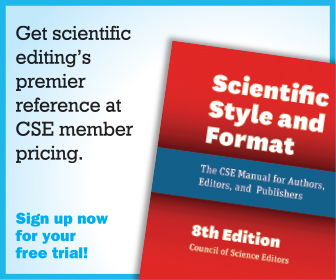 Freeman and Robbins took their idea to groups, including the Council of Science Editors (CSE),3 that had shown a commitment to related goals. Among these groups was the International Network for the Availability of Scientific Publications (which has since broadened its scope and become known primarily as INASP). After a planning meeting in March 2007, INASP implemented AuthorAID as a carefully monitored 3-year pilot project that would include workshops, mentoring, a resource library, and a blog. The pilot project went well,4 and AuthorAID has continued to develop and grow. INASP funding for AuthorAID has come mainly from the Swedish International Development Cooperation Agency (Sida) and the UK Department for International Development (DFID). Since the beginning, AuthorAID has had a productive working relationship with CSE. Sessions at CSE annual meetings have included updates on AuthorAID,5–8 Science Editor has contained information on AuthorAID mentoring,9–10 and CSE members have served AuthorAID as mentors and in other roles. INASP’s AuthorAID project team, which contains INASP staff members and others, has strong editorial roots. Julie Walker, of INASP, who directs AuthorAID, previously worked in publishing. Project-team members other than INASP staff include a past recipient of a CSE scholarship for developing-country editors, a former head of educational services at a major editing company, and the first editor of Science Editor. Volunteers, many of whom are editors, are crucial to the AuthorAID effort. Most notably, editors and researchers from a variety of countries are AuthorAID mentors. Other volunteers write guest posts for the AuthorAID blog, provide or suggest materials for the AuthorAID resource library, translate AuthorAID materials into their native languages, or help by publicizing AuthorAID to those who might benefit from it. Volunteers are an integral part of the AuthorAID community, and the contributions of volunteers are warmly welcomed and highly valued. AuthorAID has evolved to encompass much more than the editing initially envisioned by Freeman and Robbins. Current components of AuthorAID include onsite and online instruction; one-on-one mentoring; a blog, resource library, and email discussion list; and small grants.11 Those interconnected aspects are summarized below, with emphasis on editorial involvement. Workshops and courses on research communication are major components of AuthorAID. As well as providing guidance, they help to publicize AuthorAID to those who can use its offerings, such as mentoring and online resources. The workshops and courses also provide opportunities for the instructors to discern needs of the AuthorAID target population and to test and refine instructional materials. Countries in which members of the AuthorAID project team have facilitated one or more face-to-face workshops include Bangladesh, Colombia, Ethiopia, Ghana, Kenya, Nepal, Nicaragua, Pakistan, Rwanda, Sri Lanka, Tanzania, and Vietnam. The workshops—sometimes held in partnership with publishers, professional societies, or nongovernment organizations— generally last 2 to 5 days and have one or more local cofacilitators. The local co facilitators, who commonly are journal editors, often go on to give workshops of their own. Likewise, the workshops often have train-the-trainer components, and attendees are encouraged to share what they learn. Presentations and other materials from the workshops are placed in the AuthorAID resource library to serve a broader audience. Increasingly, AuthorAID instruction has been occurring online. AuthorAID’s first online course was pilot tested in 2011 at the National University of Rwanda.12 Since then, there have been multiple offerings of AuthorAID online courses, which use the Moodle platform. AuthorAID’s main online offering is a 5-week course based on the face-to-face AuthorAID workshop in research writing. Other offerings have included a Spanish-language version of that course, a course on writing grant proposals, and an intensive 10-week course in which participants receive feedback on successive sections of a scientific paper. Whereas initially the online course in research writing was limited to a small group, the offering in mid-2015 had 367 participants, chosen from over 1,200 applicants,13 and the offering in late 2015 had over 1,000 participants. Since early in AuthorAID, prospective mentors and mentees have been able to register through the AuthorAID website and seek each other. 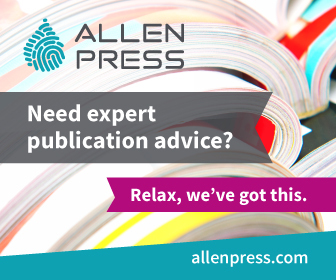 Researchers and editors can serve as mentors. Items on which mentorship can be provided include using appropriate research methods, performing data analysis, choosing appropriate journals for manuscript submission, writing journal articles, understanding the peerreview process, responding to reviewers’ comments, preparing presentations and posters, writing grant proposals, and otherwise communicating about research. A challenge throughout has been to meet the high demand for mentorship. As of late 2015, of the roughly 11,000 people registered on the AuthorAID website, about 6,800 had indicated an interest in seeking mentors, but fewer than 300 were offering to be m entors. Helping to increase the pool of mentors, both by volunteering themselves and by publicizing calls for mentors, is one way that editors can contribute to AuthorAID. AuthorAID includes a blog, a resource library, and an email discussion list. The blog, which debuted in 2007, includes at least one main post per week and a tip of the week. Increasing proportions of posts are by editors or others in developing countries. Posts appear simultaneously in English and Spanish. As of late 2015, the AuthorAID resource library contained about 700 items. About 500 were in English; the others (largely translations of AuthorAID materials) were in Arabic, Chinese, French, Persian, Portuguese, Spanish, or Vietnamese. The resources include presentations, articles, Web links, and more. In addition to items on writing and publishing journal articles, the resource library contains items on topics ranging from preparing oral and poster presentations, to writing grant proposals, to editing and proofreading. AuthorAID has had an email discussion list since 2009. The often-lively discussion includes not only responses to registrants’ questions but also comments on scenarios posed by an AuthorAID project team member. Registrants for this list can view its archives. Since 2011, AuthorAID has provided small grants to candidates in developing countries. These highly competitive grants have been mainly for giving workshops on research communication and for travel to conferences where recipients will present research. Recently AuthorAID began to provide other grants, for example, to give online courses. Some workshops supported by AuthorAID grants have been facilitated by editors. And AuthorAID now offers travel-grant recipients editorial comments on drafts of their presentations. The workshop grants contribute to AuthorAID’s progress in having researchers and editors in developing countries take over, adapt, and assimilate its activities, thus embedding them locally and promoting their sustainability. In addition to providing these grants, AuthorAID has been working intensively in selected countries—initially including Ghana, Sri Lanka, Tanzania, and Vietnam—to develop embedding. Support in that regard has included train-the-trainer workshops and funding of local activities. It also has included funding for leaders of embedding efforts to attend a researchwriting course14 that can strengthen their knowledge and serve in part as a prototype. 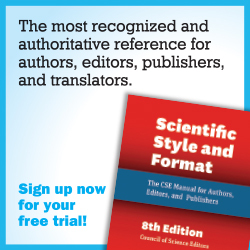 From the beginning, AuthorAID and science editors have conferred and collaborated. Now that AuthorAID has largely matured, it has more to offer editors. And now that AuthorAID and the demand for its services have grown, it has more call than ever for what the editorial community can provide. What can AuthorAID provide to editors? By serving authors, it can facilitate the editor’s task. Educating authors in developing countries—and authors elsewhere, who also can access the AuthorAID website— can result in more suitable submissions. Comments from AuthorAID mentors, either before journal submission or after a journal says that a paper needs more work, also can improve submissions. Some materials on the AuthorAID website can help in training new editors or keeping them current on editing and publication. The websites of some journals identify AuthorAID as a resource for authors. Hopefully more will do so. 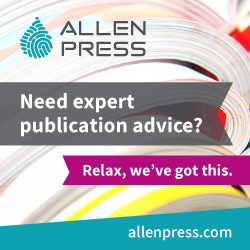 How can editors help AuthorAID? Most of all, AuthorAID needs more mentors. We encourage more editors to volunteer in this role and to encourage editorial board members and journal readers to do so. Persons in or near retirement may be especially well suited for the role15 in keeping with early observations by Freeman and Robbins.2 Providing such mentorship also can be excellent experience for editors and others early in their careers. In addition, editors can contribute by suggesting items for the AuthorAID resource library, translating AuthorAID materials or identifying others to do so, writing guest blog posts, answering questions posed on the AuthorAID discussion list, and providing ideas for further developing AuthorAID. We also welcome additional chances to partner with others (such as publishers, editing services, and professional societies) to deliver workshops, to fund grants, or otherwise to promote high quality in research publication. Potential mentors should register through the AuthorAID website, and individuals or groups willing to help in other ways can contact us at authoraid@inasp.info. Over the last decade, AuthorAID has evolved from an appealing concept to a sizable project that helps researchers in developing countries to communicate their work internationally. Yet much of the demand is still unmet, and much of AuthorAID’s potential remains to be fulfilled. We look forward to the continuing collaboration of science editors in future years. I am grateful to the CSE members and others who have contributed time and ideas to AuthorAID. I also thank Julie Walker and Siân Harris, of INASP, for providing helpful comments on a draft of this article. BARBARA GASTEL, a professor at Texas A&M University and an INASP associate, has been a major participant in AuthorAID since its inception. Freeman P, Robbins A. The publishing gap between rich and poor: the focus of AuthorAID. Journal of Public Health Policy. 2006;27(2):196–203. Freeman P, Robbins A. Closing the “publishing gap” between rich and poor. SciDev.Net. 2 September 2005. www.scidev.net/global/capacitybuilding/opinion/closing-the-publishing-gap-betweenrich-and-poor.html. [accessed on 7 November 2015]. Ameh E. Scientific authorship and editing in the developing world. Science Editor. 2005;28(5):152. Hanley T. AuthorAID: Evaluation of pilot phase, 2007–2009. www.inasp.info/uploads/filer_public/2013/04/09/authoraid_evaluation_2007-2009.pdf [accessed on 12 November 2015]. Ameh E. The role of science journals in promoting capacity development in the developing world (follow-up of 2006 meetings on creating and supporting sustainable societies). Science Editor. 2008;31(1):5–6. Shoresh N. AuthorAID Task Force. Science Editor. 2008;31(5):153. Yun O. 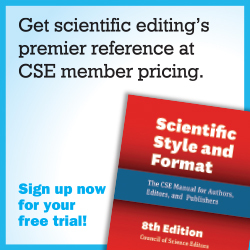 Science editing goes global: CSE international scholars, Editor Link, and AuthorAID. Science Editor. 2009;32(6):184. Cerejo C. International boundaries, publishing barriers: empowering authors in newly industrialized and developing countries. Science Editor. 2013;36(3):84. Walker J. Mentoring opens doors around the world. Science Editor. 2011;34(3):84–85. Deming S. Between author and editor. Science Editor. 2011;34(4):e27–e28. Gastel B. AuthorAID: an international service and chance to serve. Medical Writing. 2013;22(4):284–287. Murugesan R. Promising outcomes of an online course in research writing at a Rwandan university. European Science Editing. 2012;38(3):60–64. West D. Worldwide research writing takes off with INASP’s biggest ever online course. 11 June 2015. www.authoraid.info/en/news/details/914 [accessed on 7 November 2015]. Intensive course in research writing. vetmed.tamu.edu/vibs/stjr/intensive-course-in-research-writing [accessed on 7 November 2015]. Gastel B. “Staying active” after retirement: consider mentorship. The Scientist. 11 August 2015. www.the-scientist.com/?articles.view/articleNo/43722/title/Opinion—Staying-Active–afterRetirement–Consider-Mentorship [accessed on 7 November 2015].